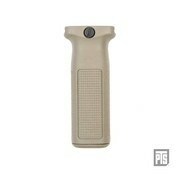 PTS Vertical Foregrip (EPF2) (Dark Earth). The PTS Enhanced Polymer Foregrip 2, or EPF2, has a carefully conceived, streamlined, ergonomic design with slightly revised texturing for superior grip and control. 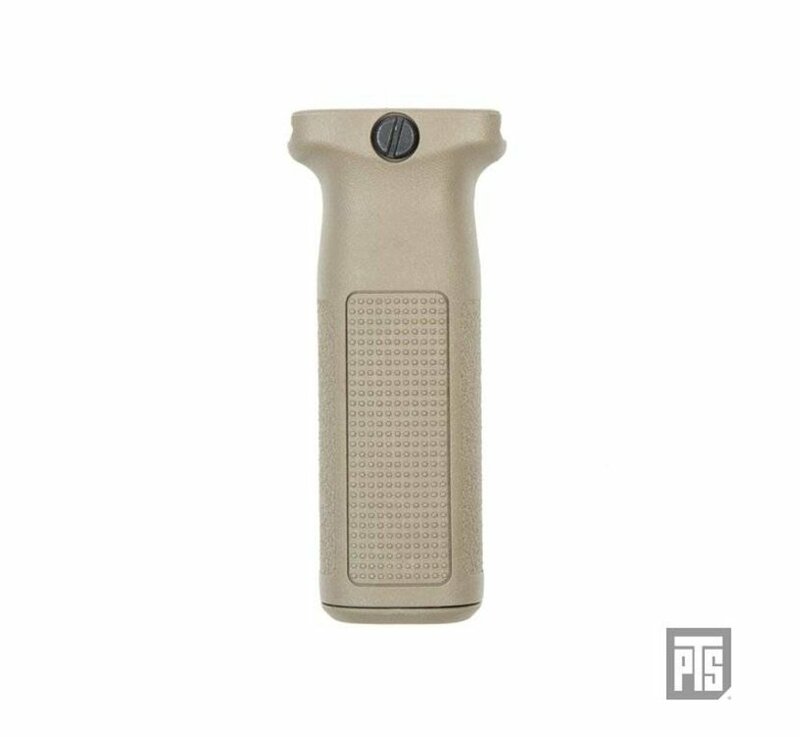 Dupont™ Zytel® polymer construction and hardened steel hardware ensures its survivability under adverse use conditions. 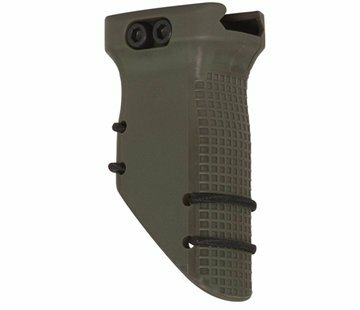 The EPF2 has also been revised with a lower profile on top to be able to mount on to a wider variety of railed handguards. Like its predecessor, it features a storage compartment with a sliding access plate at the base, and channels at the top for battery wiring to be able to pass through. 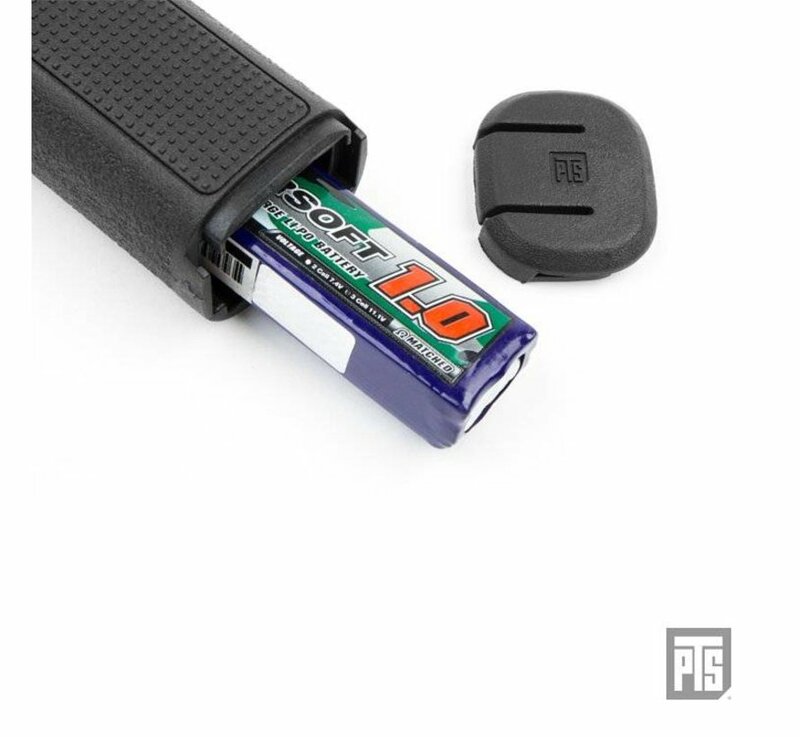 This allows the EPF2 to hold certain airsoft appropriate lithium polymer batteries (such as an 11.1V 1000mah airsoft battery, see specifications for internal cavity dimensions.) 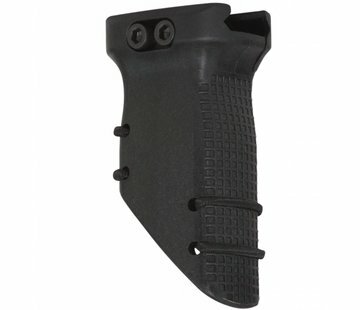 for front wired electric airsoft guns thereby removing the need for a battery box. 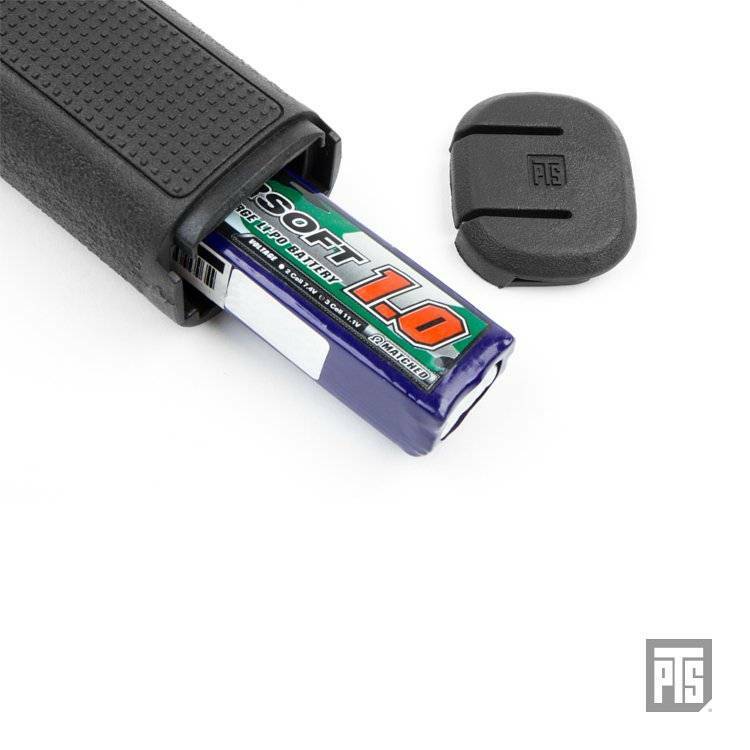 The compartment can also be used to store other miscellaneous items and tools. Low-drag, snag-free design prevents interference with other gear.